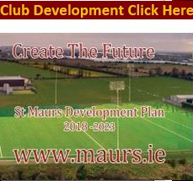 St Maurs U/9 Boys for Football & Hurling. 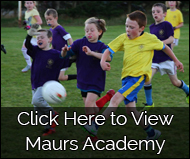 We field 3 teams every week in football and hurling. Training takes place on Monday & Thursday evening at 7pm and games normally throw in on Saturday at 11am. A place for all players and everyone gets a game and it’s never too late to join the team. 2 great games of hurling on Sunday against Ratoath and Clondalkin. In our first game we took control early with a goal from Christian and held out with some super defending from Stephen and Kyle. Chrstian socred again to secure the win. In the 2nd game we started well and Eoin scored form half way to give us the lead. Then our defenders stepped up and Caelan and Rory were brilliant in holding out a string of attacks before Killian put us 2 up. Clondalkin scored to give us a nervous ending but we held out to get a great win, Played 2, won 2. Gormasntown threw in with a good game against our old foes Peregrines. The lads started well but soon fell 1 down. We fought hard to the very end but ran out of steam and finished 3 nil. In the 2nd game we played St Finians and were much improved. Matthew scored 2 before Mossy lobbed the keeper from half way to seal the win. Played 2, lost 1, won 1.